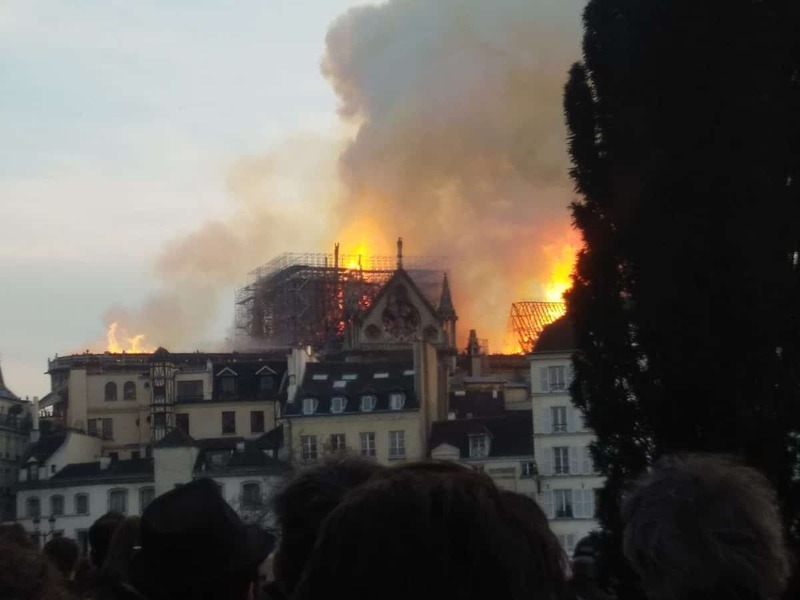 Within hours of Notre Dame becoming engulfed in a devastating inferno on Monday evening ISIS, for no apparent reason, had become one of the top trending topics on Twitter in relation to the event. i24NEWS, a verified account posting “unfiltered and unbiased” news, rushed to feature spokespeople that were happy to suggest the terrorist organisation “could be behind it — might be”, and a swathe of other users followed suit. Arson has already been ruled out as a possible cause and investigators have confirmed it ‘was probably an accident‘ – but that didn’t stop the far right rushing to point the finger, which typifies what is wrong with this country right now. Ever since the Brexit referendum in 2016 Britain has been engaged in a relentless finger-pointing game that shows no sign of abating. The recession that struck on the back of the financial crisis was blamed on immigrants and the subsequent austerity policies that followed put the responsibility of public debt on benefit claimants rather than the bailed out bankers. With the Brexit process now unravelling the blame game has become even more severe. The Prime Minister has pointed the finger at Brexiteer MPs for the impasse while they point it at the EU which point to the entire process as being at fault. It has become relentless, but spare a thought for irony when you consider how it has panned out this week. At least half a billion euros has been donated by wealthy billionaires and businesses to help rebuild Notre Dame cathedral, with fashion moguls, oil companies and even Vladimir Putin offering their help to restore the precious building. A noble cause indeed, but it paints a sad picture when such vast sums of money can be made available for restoration of buildings but not of society. Yellow vest protesters will no doubt be muted in the wake of the tragedy, but their message is no less clear. France, among many other countries, is being ruled by a “président des très riches” (president of the very rich). And therein lies the real problem.